If I told you I never thought in my entire life, I would discover my voice and develop the courage to take the leap & start my own business, would you believe me? I sincerely believe that if little Lisa, who was insanely shy and hid her true passions & talents from the world can do it, so can YOU! As I continue to grow & continue to build my brand, it’s become increasingly clear to me that one topic I’m extremely passionate about is the idea and the practice of female empowerment. I can’t deny that in the blogging and fashion industry it can be incredibly competitive, but the way I see it, we all have something so incredibly unique to offer this world and I believe we should, as women, band together and support one another in discovering what that something special is. We’ll go more depth about my career transition and the experiences that led me to where I am right at this moment in the near future, but know that I am so open and willing to share my journey in hopes of inspiring and encouraging women that we can, in fact, have it and do it all with fire, drive, resilience, belief in yourself, determination and surrounding yourself with likeminded women who understand your hustle and will lift you up in the toughest of times. Speaking of inspirational boss babes, Nanette Lepore is an amazing example of how much hard work and taking risks can payoff in a male dominated industry. I truly admire her work ethic and love that she encourages other women to dance to the beat of their own drum. I feel her clothing and accessory lines embody all that a woman can be–soft and feminine, yet strong and resilient and that is exactly what I LOVE about her collection of watches this season, available exclusive at Bloomingdales! P.S. Another amazing thing Ms. Lepore & I have in common–both of our clothing lines are manufactured in the U.S.A and designed for the go-getting woman on-the-go! I’m a big fan of menswear inspired watches with touches of feminine characteristics as it’s very much a part of my personal aesthetic. 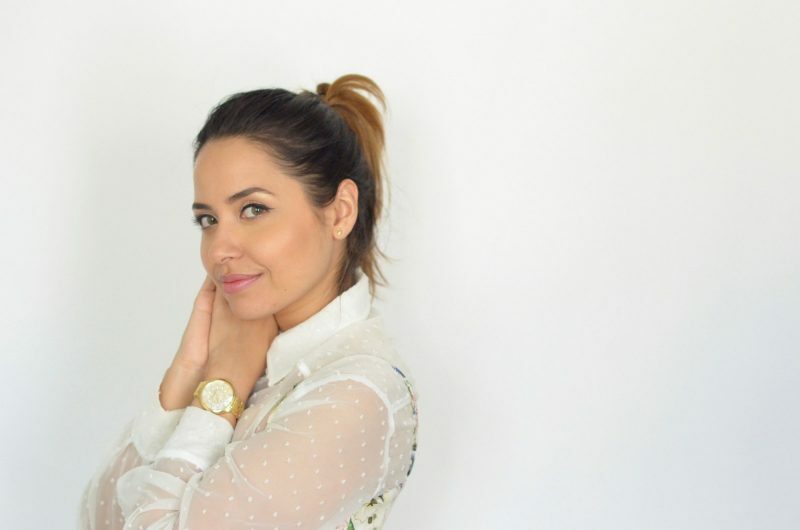 These gorgeous time pieces featuring leather bands and stainless steel are elevated with pretty details such as a rose gold finish or a dial made up of mother of pearl, which all pair amazingly with the unique florals and airy chiffons of my very own clothing line- The Style Theory Collective. The juxtaposition of hard & soft layered with pieces from within my wardrobe truly capture my essence as a women who’s overcome adversity and developed into a well-rounded, empathic individual who wants nothing more than to encourage everyone to tap into their desires and live their lives as the happiest version of themselves! I’d love to meet you gorgeous women and learn more about your own personal journey toward achieving greatness while helping you select the perfect Nanette Lepore watch that truly encapsulates all you are and all you strive to be! 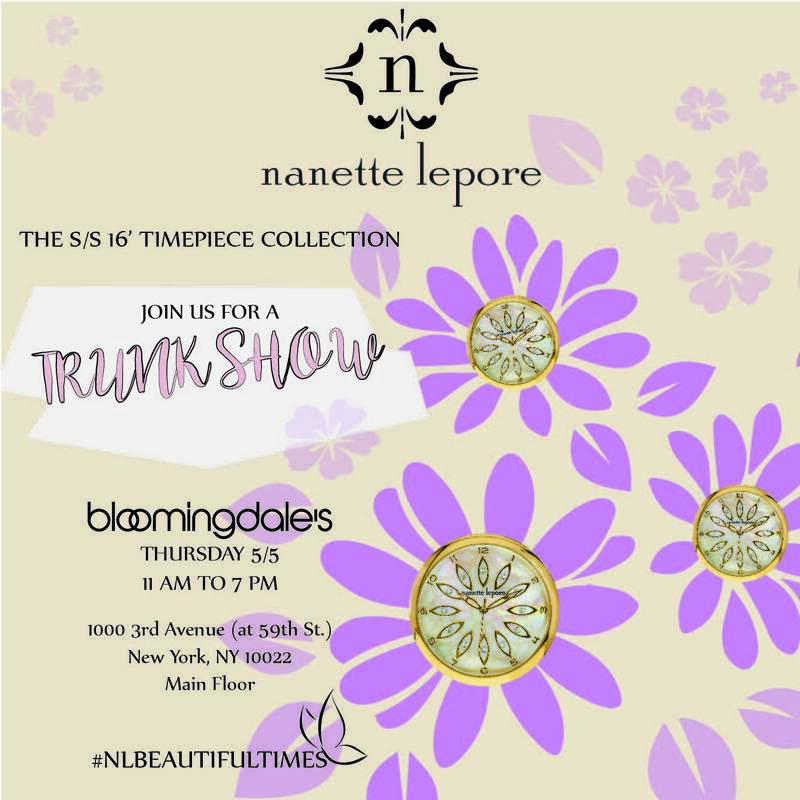 Nanette Lepore S/S 16″ Timepiece Collection Trunk Show! awww.. 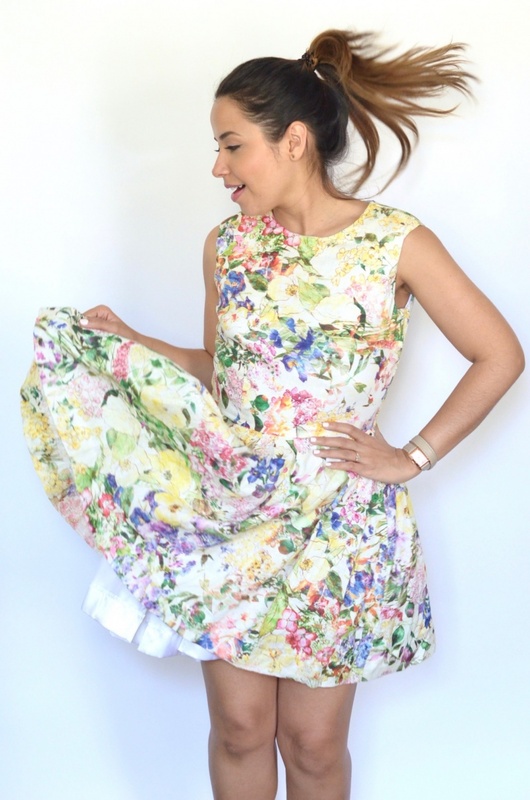 I love this print..
OMG I NEED THAT PLAYSUIT OF YOURS! IT’S BEAUTIFUL! I love the floral pattern of each piece!They are all so beautiful! Isobel! You are such a doll! Thanks so much 🙂 It makes me so incredibly happy to hear you love the print & the playsuit <3 FYI, until Monday you can get 15% off any TST Collective piece with code "moving15"! xoxo!